Law enforcement agencies understand the value of patrol zones or sectors. When patrol zones are properly mapped out and staffed, they make up an efficient and effective plan to help keep communities safe. When it comes to your home, zoned heating and cooling is a sure-fire way to optimize your energy efficiency without compromising your comfort. An energy-efficient HVAC system is your first line of defense. But to completely crack the case, control zones provide the extra firepower you need for ultimate comfort and protection. Control zones allow you to create different temperature zones within your home, giving you complete power, superior comfort and energy savings. Every family is different. Some families spend most of the day away from home. When they return, they might gather for dinner before retiring to the family room. Eventually, they head off to bed. Other families have more scattered schedules. But no matter what your schedule, zoning allows you to stop wasting energy by heating or cooling parts of your home that are empty. You should never throw up your hands and surrender to energy inefficiencies that rob you of your hard-earned money. 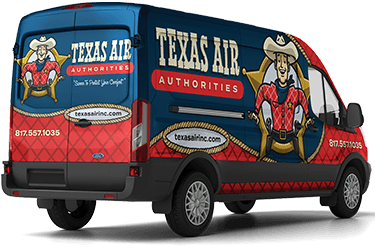 At Texas Air Authorities, we can arm you with zoning control devices and other tools for ultimate comfort at affordable costs. Our technicians will investigate every corner of your home and gather all of the evidence necessary for total comfort and improved energy efficiency. We’ll crack the case without breaking the bank. In fact, our control zones will protect your comfort and boost your energy savings, not pick your pocket. We have an arsenal of quality products and exceptional services to meet your indoor air quality control needs, including air purification, air filtration, air ventilation, humidifiers & dehumidifiers, commercial IAQ and more. Simply fill out our online form or call us at 817-402-3576.